Everyone will die, sooner or later. For most folks, it'll just be the one time, but for those with, say, a cup for a head, or a body made of meat, it'll happen over and over and over until the creature controlling their fate is either overcome with mercy or screams and breaks their controller. Sometimes both. It's inevitable, regardless. The pain. The loneliness. The overwhelming cold. Sorry, did I come on too strong? There's a new gameplay video fresh out of Gamescom for Cuphead. Watch it, or whatever. Cuphead is an upcoming SHMUP that'll be hitting both Xbox One and PC. In case you feel like dragging a buddy through an intense study on mortality and narcissism, it also sports two player local co-op. 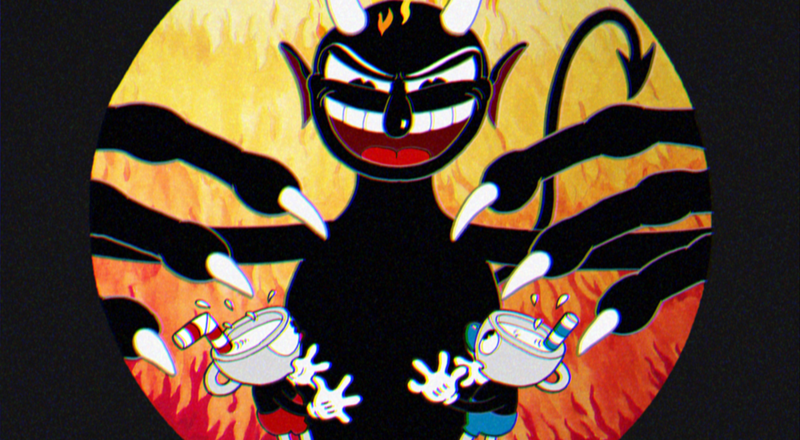 In-game, you'll be guiding two hapless fellows named Cuphead and Mugman on their quest to do Satan's bidding. Apparently, that equates to murdering plants and demons with your finger-guns. Look, I dunno, man. It's gorgeous, just roll with it. Not too many more details have emerged regarding Cuphead just yet, aside from a 2016 release date. We do know that it'll be tough as nails, though, so don't expect to just run Beelzebub's errands in an evening. Page created in 0.4160 seconds.